This collection of great choir music presented by Joachim-Ernst Berendt first appeared in 1989; in Germany, and has now been rereleased in a new and expanded edition, VOICES! VOICES! 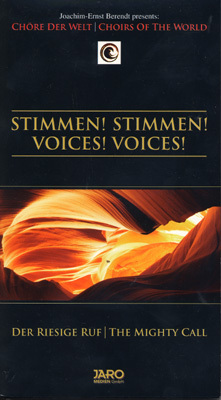 This 3-CD box by JARO Medien Voices; is a gem in the JARO series Voices, which presents vocal projects of different periods, genres and cultures.